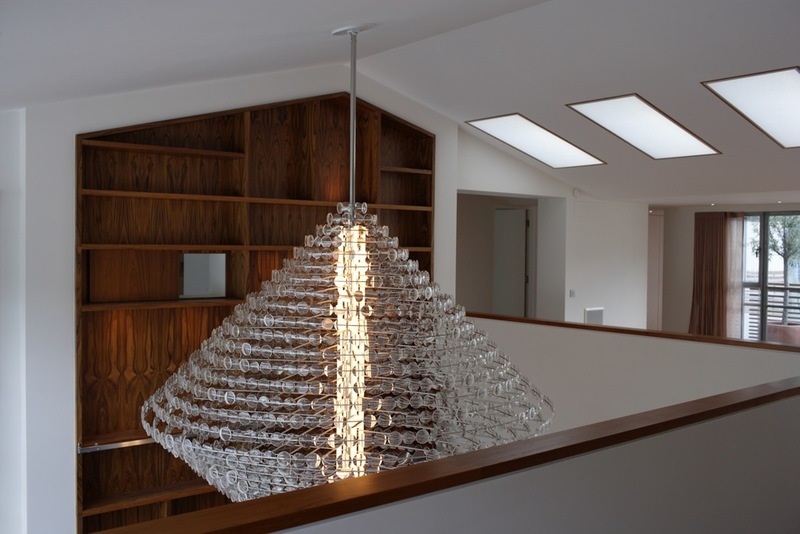 This elegantly framed chandelier derives it’s name from the iconic 1950’s cartoon character Mister Magoo who was plagued by very poor eyesight and hence wore thick circular spectacles. 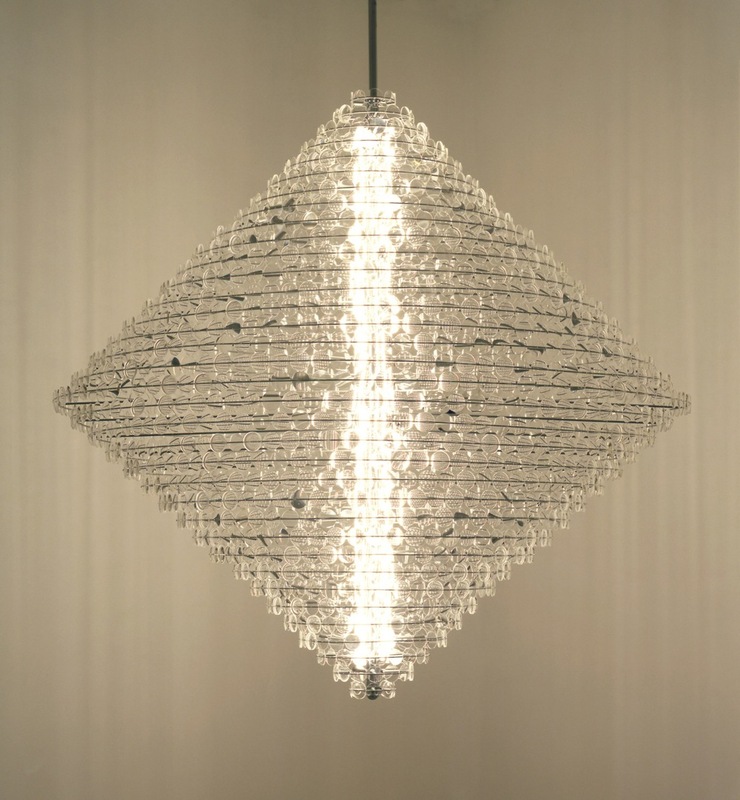 The chandelier is skillfully constructed from stainless steel rings on which are mounted circular uncut optical lenses of various magnifications. Looking directly through the layers of lenses creates distorted optical illusions. Along the central column runs a line of architectural tubes which emit a warm soft glow. 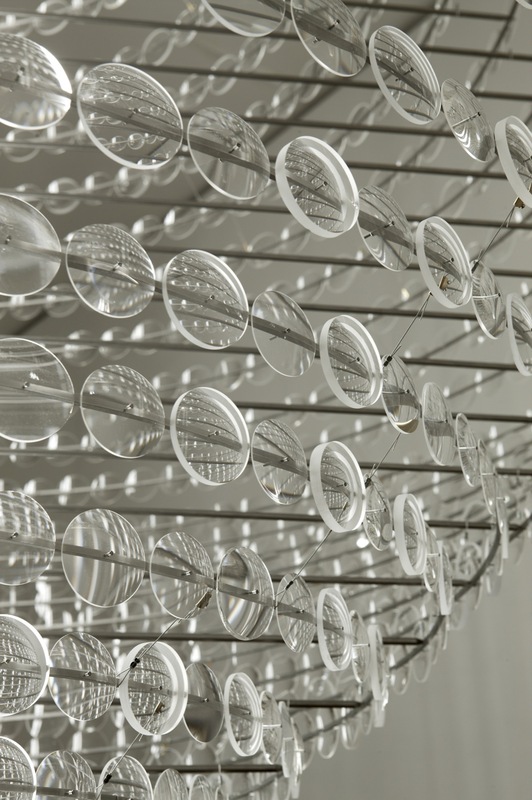 Materials – Clear uncut lenses, stainless steel framework, micro cable, architectural tubes.